Woohoo for good news! Nothing like coming back from Coachella to find yourself in the Sunday newspaper, right? 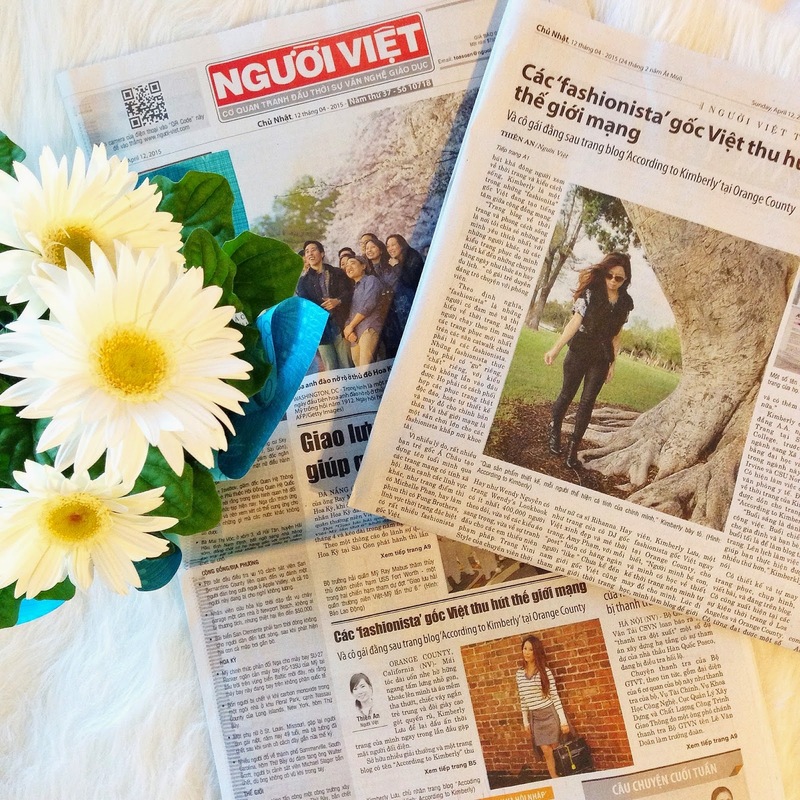 And not just any newspaper but Nguoi Viet, one of the biggest Vietnamese newspaper in the community! Simply amazing! As an Asian-American myself, this was a proud moment for me and I couldn't me more honored to not only be featured in Nguoi Viet but to be on their front page as well - WOW. Blessed and lucky indeed and it's all because of your great support. Can I just give you an air hug? Thank you all for reading and following along my blog - it truly means a lot! ***Thanks Thien and Nguoi Viet for the great article!